The Sage Connected Services Strategy has been getting a lot of attention lately … and for good reason. In fact, there was quite a bit of focus on Connected Services and “The Cloud” at the recent Sage Summit conference in Washington, DC. 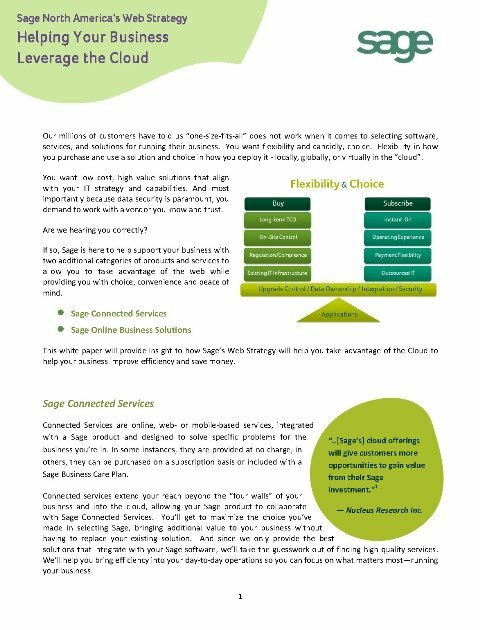 Below is a 5-page article that describes the Sage web strategy as it relates to Connected Services and other online business solutions (click image to download).